Electric power is a fundamental necessity in all municipal and industrial endeavors. Power companies are relying more heavily on automation and control technologies to increase productivity, reduce costs and improve their safety standards. 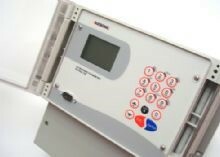 By remote monitoring and control technologies companies are able to prevent hazardous situations and improve their health and safety standards. Automation and control systems are used throughout the industry gas turbine based power generation systems, to production and processing plants, and distribution and retailing of petroleum products, helping to raise efficiency, speed and performance of companies’ operations. With the aid of control, automation and monitoring technologies companies can monitor and report their activities with greater transparency and therefore improve processes and safety. Fluid Components International solves flow and level measurement applications for industrial process and plant applications using patented thermal dispersion flow measurement technologies; With more than 40 years’ experience and the world’s largest installed base of thermal dispersion instruments, you can count on FCI to know your application and have proven solutions that will save you time and expense. 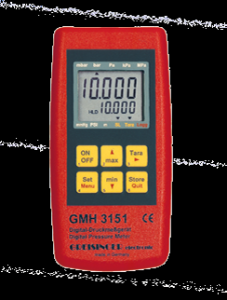 Thermal dispersion provides a gas flow measuring solution that is easy to install and virtually maintenance-free to save you time and costs. It has no moving parts and is inher­ently multivariable, measuring both flow and temperature. Insertion styles are particularly well suited for larger line size applications because probe length and the number of sensors are easily and economically added. Thermal dispersion technology places two thermowell protected platinum RTD tempera­ture sensors in the process stream. One RTD is heated while the other senses the actual process temperature. 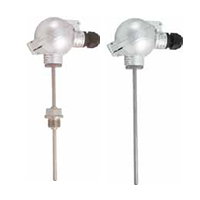 The temperature differ-ence between these sensors is measured and is proportional to the mass flow rate of the fluid. Agency Approvals: FM, CSA, ATEX, CPA, CE, PED. Agency Approvals: FM, CSA, ATEX, CE, PED. 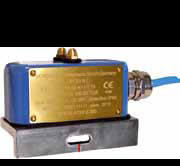 FCI flow switches utilize thermal disper­sion technology to provide fast response, accurate fluid flow sensing. FCI’s FLT Series and Nutec Series flow switch products provide an extensive selection for perform-ance, features, functions and environmental packaging options to meet a wide range of flow applications and installation re­quirements. 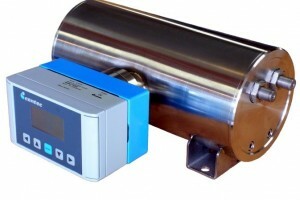 The new FS10A is specifically designed for flow monitoring in analyzers and sampling systems. 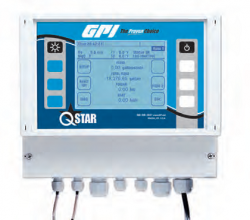 FCI liquid level and interface switches pro­vide fast responding and accurate fluid level alarm or setpoint control. They sense the tem­perature difference between a heated sensor and an unheated reference sensor, where the difference is greatest in the absence of liquid and decreases proportionally as the elements are submerged in various fluids with varying thermal conductivities. When submerged the heated sensor cools as it dissipates heat and in turn, a change in magnitude of the tem­perature difference. Because all fluids exhibit different heat transfer characteristics FCI’s highly sensitive level switch technology can detect historically difficult interface applica­tions between fluids such as liquids, gases, emulsions, slurries and foam, regardless of their physical properties. Centec is a privately owned group of companies. With a focus on the processing industries, we are rapidly growing in the major world markets. We have a global sales and service structure, with our own subsidiaries and a network of qualified distributors. Our international operations include mechanical, electrical and process automation engineering, with skid manufacture and pipework fabrication; as well as our own switch cabinet production. This infrastructure allows efficient logistics, short lead times and strict adherence to delivery deadlines. The quality of our products is excellent, so is the price-performance ratio. In nuclear power plants the heat generated by a nuclear fission process is used to drive a steam turbine which generates usable electricity. When an atom of nuclear fuel (uranium) absorbs a neutron the uranium will fission into two smaller atoms (waste) and release 1 to 3 neutrons. The kinetic energy of the waste is used to heat the water for the steam turbine. The neutrons are used to fission the next lot of uranium atoms, so the process continues. Boric acid (H3BO3) is dissolved in the reactor coolant where it absorbs the neutrons and thus controls the speed of the nuclear fission process. The concentration of H3BO3 is determined with highest precision based on density measurement. For density measurement, the liquid consisting of 2 components flows through a U-shaped tube. While the tube is electronically excited to oscillate at resonance, the oscillation frequency is observed. Any change in the fluid density has an impact on the detected signal and can thus be identified. Based on the correlation between concentration and density, the concentration is calculated and displayed.